Although I have an incredibly sweet tooth, I am a sucker for a great cheeseboard, and believe that a well-put-together cheeseboard is an almost unbeatable conclusion to a festive dinner party. 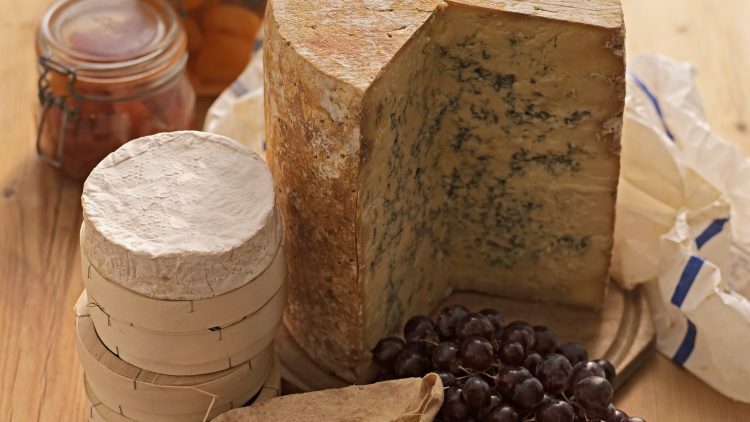 As with any chef, I have my personal favourites; such as Montgomery’s Cheddar, a simple, soft, fresh cheese called Gratte Paille; as well as seasonal cheeses, such as Vacherin Mont d’Or or Comté, both of which are winter cheeses that hit their flavour peaks within the chilly, festive months upon us. But in the main, I tend to use cheese as a basic staple at home and will only splash out and put together a great spread when the time is right. Cheeses are similar to wine: there is a time and a place for both the everyday and the better-sourced variety. My advice if you want to put together a cheeseboard for a holiday dinner party is to buy your cheeses from an independent high-street retailer, who will offer samples. Buy a goat’s cheese (I prefer the ones with added flavour, such as ash or herbs), a soft cheese such as Reblochon or the aforementioned Gratte Paille, a blue, and a hard cheese—for this one, aim for a good-quality Cheddar. Add a few garnishes to match each one, such a quince jelly, Muscat grapes, a bitter salad leaf such as endive or freshly cracked wet walnuts and, of course, crackers, biscuits, and bread. France and England are divided at this point, the French taking cheese prior to pudding and the English after. For me, it’s always after pudding, with friends, perhaps on a cold December evening, a few glasses of something sweet and conversation long into the night. To ensure you have the perfect cheeseboard, follow Adams recipe.